The Rock Splitting Cherry Tree, originally uploaded by ihorner. It is quite amazing what tree roots can do. 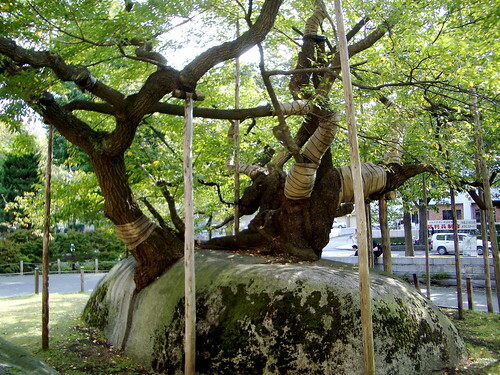 This 400 year old Cherry tree in Morioka, Japan is famous for the fact that it has split a large granite boulder in two with its roots. Looking to clean up your yard? Check out tree pruning queens!